There are rumours and speculation abound that the Help To Buy Scheme, which commenced on 19 July 2016, could be scrapped in this year’s budget. The Revenue Commissioners produced data for Q1 2017 which showed that 1,006 claims have been made and of those claims over 20% were for new homes costing €375,000 and that majority of the applications came from first time buyers in Dublin, Kildare, Meath, Wicklow and Cork. One of the reasons being mooted as a reason for dropping the scheme is cost with the costs of the scheme exceeding the budgeted cost of €50m. According to reports, the new minister for housing is considering new measures aimed at directly increasing supply rather than schemes incentivising people to buy homes. The scheme is due to end on 31 December 2019. While it is still available, it might be useful to summarise how it works. 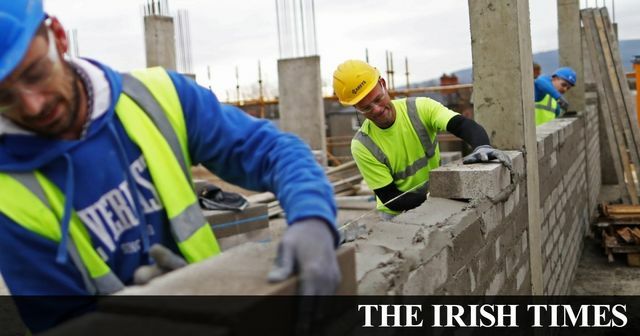 Successful applicants will be entitled to a refund of income tax and DIRT paid over the previous five years and up to 5% of the purchase price of the new home, capped at €20,000. The maximum house price to which the relief can apply is €600,000. You must be a first-time buyer purchasing a newly built home that you intend to live in for the next five years. Your must be tax compliant. The developer must be listed on the Revenue’s list of approved contractors and developers. This is available on the Revenue website. Your mortgage must cover at least 70% of the total purchase price of the property. Anybody who has contracted to purchase a property after 1 January 2017 will have the refund paid to the developer (or to your lender’s bank account for self-builds). In practice this means that your solicitor will not pay the entire contract deposit rather the contract deposit less the help to buy contribution. The developer’s solicitor will receive this contribution for the closing date directly so that all funds are held in their client account prior to release of keys. Speculation is mounting that the new Minister for Housing is set to scrap the Help to Buy scheme, which offers an incentive to help first time buyers get on the property ladder. However, market commentators have warned that doing so won’t stall property price growth and could send first-time buyers into a panic as they rush to buy before the incentive is culled.